Tnpsc Vao Notification 2017 – 2018 : Village Administrative Officer is one of the Tamilnadu Ministerial Service. Tnpsc Vao Notification 2017 – 2018 Recruitment Eligibility Model Previous year Question Papers 2017 Details provided below. Apply online once notification released by Tamil nadu public service commission. Tnpsc vao Exam 2017 details provided below. The Details of TNPSC VAO Exam 2018, TNPSC VAO Exam 2018 Exam Date, TNPSC VAO Exam 2018 Notification Date, TNPSC VAO Exam 2018 Recruitment Date are updated in our site. Keep Visit and get Latest News Fast. Important updates for the TNPSC VAO Exam 2017 aspirants. The Recruitment board of Tamil nadu (Tamil nadu public service commission) going to release the notification for the TNPSC VAO Exam 2017 in this year. Over 700 + vacancies may arise in VAO examination. This number of vacancies may increase or decrease according to the recruitment. Let go the information about the TNPSC VAO Exam 2017. The TNPSC Village Administrative Officer Exam has consisted of total 300 marks and 200 multiple choice questions. The duration of the exam is three hours. The paper is conducted in two languages, English and Tamil. The notification will be expected on the first week of June 2017. VAO Job is related to village. We can also call the job as Village Collector. It is one of the prestigious posts among the TNPSC Group examination. TNPSC has released the new syllabus for the VAO examination in the year 2013. Later the recruitment board conducted the VAO examination on 14th January 2014. VAO Question paper creates the difficulty among the TNPSC aspirants, because the question paper is from new syllabus. TNPSC Board had conducted the VAO 2014 examination for 2342 vacancies (VAO 2013 – 2014 Post code 2025). In the year 2016, TNPSC has conducted the VAO 2016 (VAO 2014 – 2014 Post Code 2025) examination on 28th February 2016 for 813 vacancies. In this examination, questions were asked from the General Tamil (80), Maths (20), Village administration (25) and General Knowledge (75). The cut-off marks of VAO 2016 examination was more when compared to the VAO 2014 examination. Many TNPSC aspirants have got good marks and scored above 170 marks. Many questions (16 – 19) are asked from the current affairs section. It is expected that over 15 lakhs candidates will apply for the VAO 2017 Exam. But 1 lakh or 50, 000 TNPSC aspirants will study for the VAO 2017 Examination. Usually TNPSC aspirants failed to answer the questions from the Village Administration. It is something difficult to prepare for the Village Administration topic. Candidates wasting their time for the preparation using the local books available in the market. Village Administration books are available with the VAO officers. Most of the questions were asked from the Village Administration book. You can download the Village Administration book for free in pdf format available in our site www.winmeen.com. It will be very useful for the preparation for the TNPSC VAO 2017 Exam. TNPSC will announce the vacancies in district. Candidates who have cleared the VAO Exam can get their job in their own district through the counselling conducted by the TNPSC. Tamil nadu public services release the results accordingly to the aspirants those who applied online before last date. 1) For [ SCs, SC(A)s, STs, MBCs/DCs, BCs, BCMs and DWs of all castes ] candidates between the age of 21 – 40 can apply for the TNPSC VAO Exam 2017. 2) For “Others” [i.e. Candidates not belonging to SCs, SC(A)s, STs, MBCs/DCs, BCs and BCMs], candidates between the age of 21 – 30 can apply for the TNPSC VAO Exam 2017. 3) Ex-servicemen [ SCs, SC(A)s, STs, MBCs/DCs, BCs, BCMs and DWs of all castes ] can apply for the TNPSC VAO Exam 2017 who has the age below 58 and 48 age for others. 4) 10 years relaxation will be given to the Differently abled persons. Candidates must have passed the 10th standard or equivalent examination from the recognized board. Stay tuned with winmeen.com for more updates about the TNPSC VAO Exam 2017. Like us on facebook and bookmark us to get future updates and TNPSC VAO Exam 2017 Study Material. Tnpsc vao notification and Tnpsc vao recruitment will be released on below mentioned official website. How do I prepare for the VAO exam? What I can tell you is common across all exams, i.e. understanding the exam pattern, practicing, learning from your mistakes, and then practicing some more. How can I prepare for the village administrative block in the VAO TNPSC exam? Which book is best for tnpsc VAO? For English group 4 tnpsc group 2a, 2 and vao syllabus is almost same so go through following exams English question paper. Model question Papers also available. School books plus 12 political science book and arihant gk book 2018 edition polity section. What is the cut off mark for tnpsc VAO? 165 ABOVE FOR SC AND ST..
How many vacancies are in the TNPSC VAO post in 2017? As per annual planner 2017–2018 494 vacancies but 800+ vacancies are expected. What are the qualifications to be a VAO? Candidates should possess the following or its equivalent qualification on the date of notification. Must possess minimum general educational qualification viz. 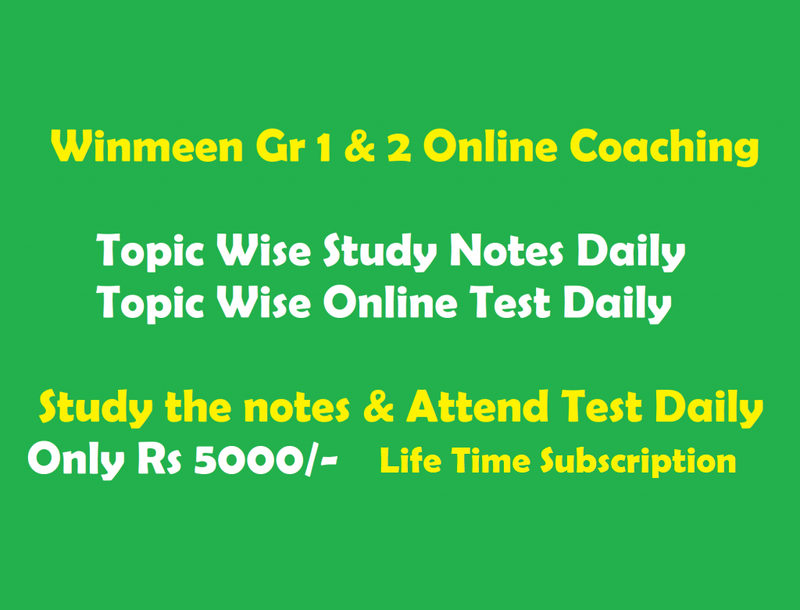 Must have passed the S.S.L.C public examination or its equivalent with eligibility for admission to higher secondary courses of studies or to college courses of studies. Get more information above. How do I prepare for TNPSC VAO and Group 2? Should I do an IT job or start preparing for TNPSC? I’m not financially able, homesick, feeling lonely. What should I do? First throw away all your worries and plan what is your next schedule. Government jobs are more stable than private jobs but still you evaluate yourself and do dedicated preparation for TNPSC exams with guidance of any coaching institute either full or week end preparation. What are the best coaching centres in Tamil Nadu for the TNPSC and VAO? If you are below average student then go for coaching centers to understand basic knowledge about Tnpsc exams. Coaching staffs have experience. so they can guide you. Other wise do your self preparation. Tnpsc exams are not tough like other competitive exams. All the best. Which subject should be done first in the TNPSC exams? Ticket counter job and exam details kudunga.with in tamilnadu job kidaikuma. No you are not eligible…Bcoz u should be 21 to write. Vao exam…. eppa exam notification illaya. annaul planner la koudutha mathiri illaye. pls applying date sir. Sir vao exam varuma varadha.doubta ruku.epa notification. Varun…. Pls send maths full notes.. Different abled person 4%what positions? Sir enoda date of birth 13 nov 1996..nan ipo varra vao exam elutha mudiyuma? Please send exam date sir. could you provide me jayabharatham tnpsc material link.